Dreaded snow conditions for many Birkie classic skiers are temps in the 30s with soft, slushy snow. My Madshus Redlines are rockets when temperatures are twenty and colder. But with the possibility of wildly changing weather conditions, a warm Birkie was bound to happen, but twice in one year? My Redline Cold skis are marginal in warm conditions, so I added the Madshus Terrasonic Intelligrips (skin skis) to my quiver. Why mess with klister on skis meant for cold conditions? In addition to the annual Birkie ritual, three of my skiing partners and I signed on with the Northstar Ski Club for their trip to Norway and the Norwegian Birkie held in mid-March. So it would be two Birkies within a month. Then it happened at the 2016 American Birkie—warm temps and soft snow. We scored the weather “daily double” for the Norwegian Birkie. 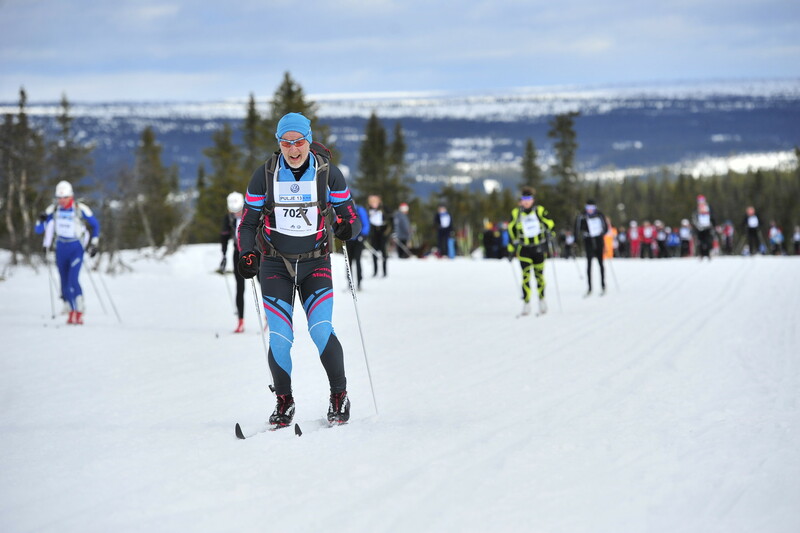 After five days of perfect conditions and temps leading up to the Norwegian Birkie, temps rose to the mid-thirties at the start on race day. Bluebird skies made spectating ideal. Ideal for skiers? Not so much. For both Birkies, however, I didn’t fret over which klister to apply. Ski choice was a no-brainer. Glide wax the Intelligrips, then spray a thin mist of Rex Hydrex over the skins, a process that takes maybe 20 seconds and can be easily done right before the race. Start to finish in both Birkies, my Intelligrips had solid kick. The Hydrex prevented icing/water saturation of the skins. While many skiers struggled with kick, I climbed like it was a 10 degree above day. Poor or marginal kick is disaster on the Wisconsin Birkie course, and the Norwegian Birkie starts with a steady 12k climb. My glide also kept up with most other racing skis. One apples to apples test came during the American Birkie. I came to the top of a long downhill next to a skier on RCS’s. We both tucked the entire downhill and stayed even. Our size and techinique seemed comparable. Proper fit on a skin ski is as crucial as a waxable kick zone ski. One shouldn’t be fit with a skin ski that is too soft, resulting in a draggy glide. While there were occasional skin skis at the American Birkie, skiers on Madshus Intelligrips at the Norwegian Birkie seemed to be about a quarter of all racers. Madshus has introduced the Nanosonic Intelligrip skin in North America this year, an elite top end racing ski even lighter than Terrasonics. 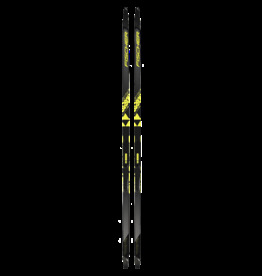 My Terrasonics are a solid moderately high end racing ski, but I’ll be adding the Nanosonic ski to my quiver this season. After all, the formula for the number of skis one should have is N + 1. Check Out Our Skin Skis Today!